Caroline holds a bachelor’s degree in Development Studies of Kyambogo University where she got First Class honour (CGPA 4.59). She has a one-year experience in teaching and working. 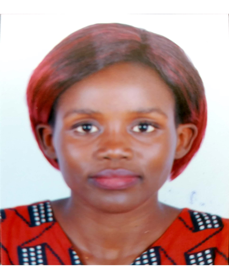 Her interest is in gender and governance, having worked in Caritas as field Assistant during her industrial training and wrote an inspiring dissertation on the impact of GBV on children’s academic performance. Caroline is currently a Graduate Intern with Advocates for Research in Development (ARiD), implementing a project on democratic governance. She supports the Project Officers in implementation of the project in the two districts of Pader and Agago respectively as well as being in charge of Governance Newsletter documentation.